You will need to generate an API Key and Secret to use with Justuno. Log in to your Pardot account and go to Settings > My Profile. 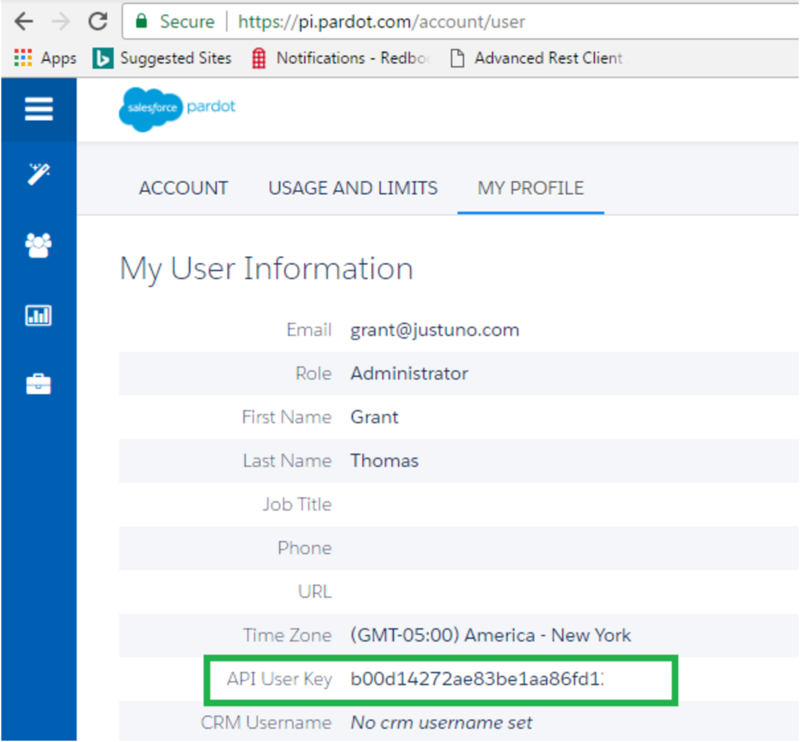 This will bring up a modal with all advanced integrations, click Salesforce Pardot and enter your Pardot credentials and the User Key you that you copied. 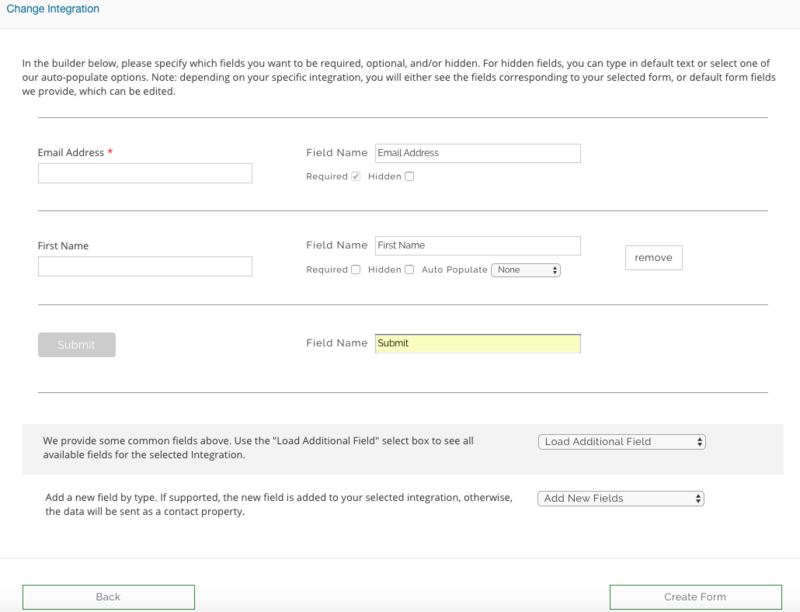 Next you will see a default form has been created for based on the contact fields available for Pardot. You can also add your own fields by selecting the “Add New Fields” option below the form. 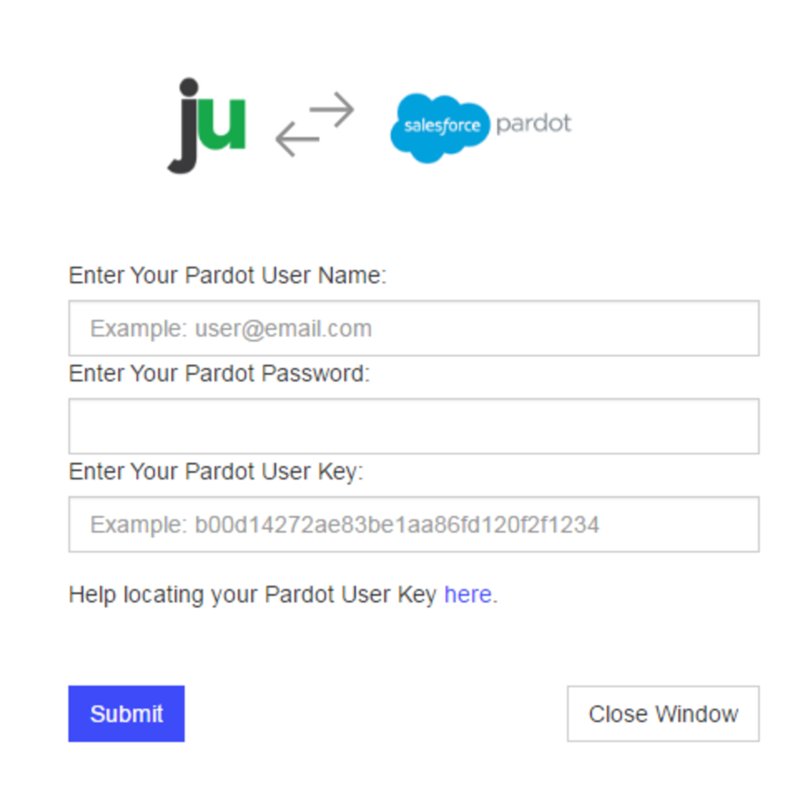 This will create the field in Pardot and make it available for you to use in the form. 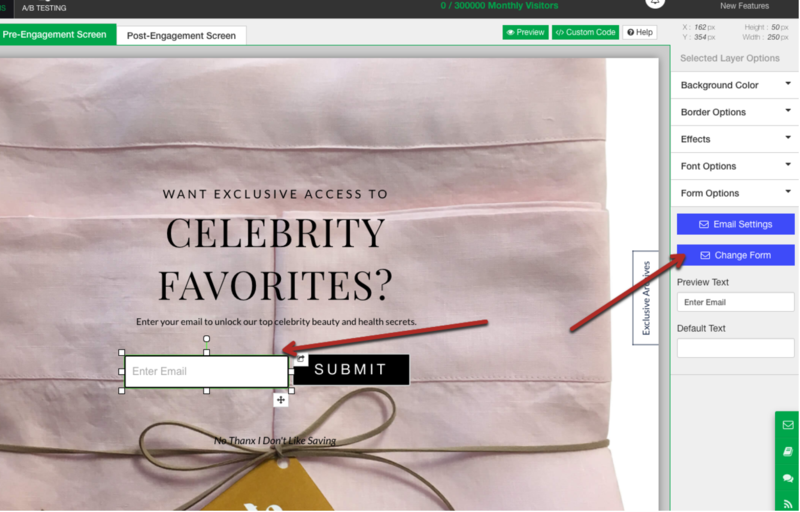 If you are sending information that does not require a user to fill anything out make sure the hidden setting is checked. Hit create form and edit the design to your liking! Important Step: If you have an integration set up in Step 3 of your promotion already, please disconnect it in order for the step 1 integration to work.